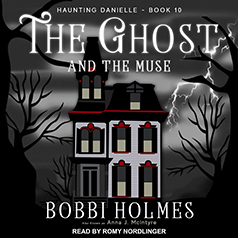 Bobbi Holmes presents the tenth book in her Haunting Danielle series. Perhaps Danielle's first clue should have been that Hillary's muse is male. He brings with him restless spirits and murders to solve—if Danielle dares. She has already been warned to stay away.